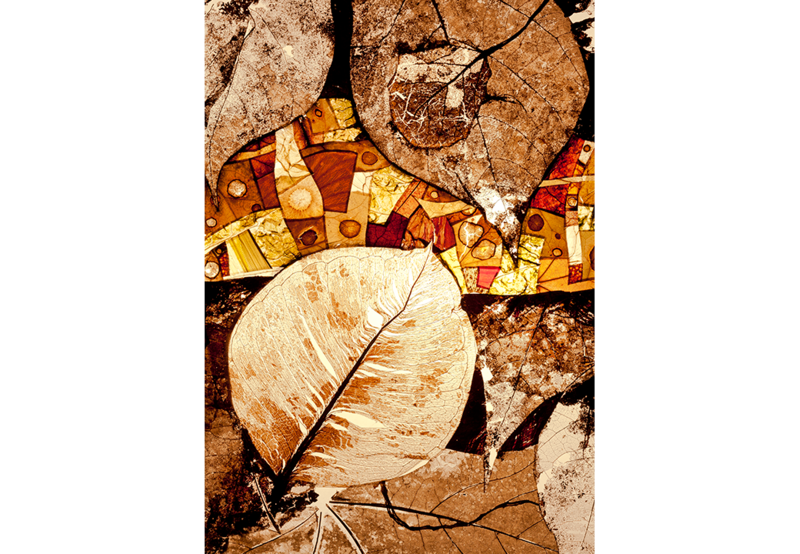 Materials include, deconstructed ombu, Firmiana simplex and rubber plant leaves, green cabbage and lettuce leaves, grass blades, maple, chestnut and assorted ivy leaves, at various stages of decomposition. 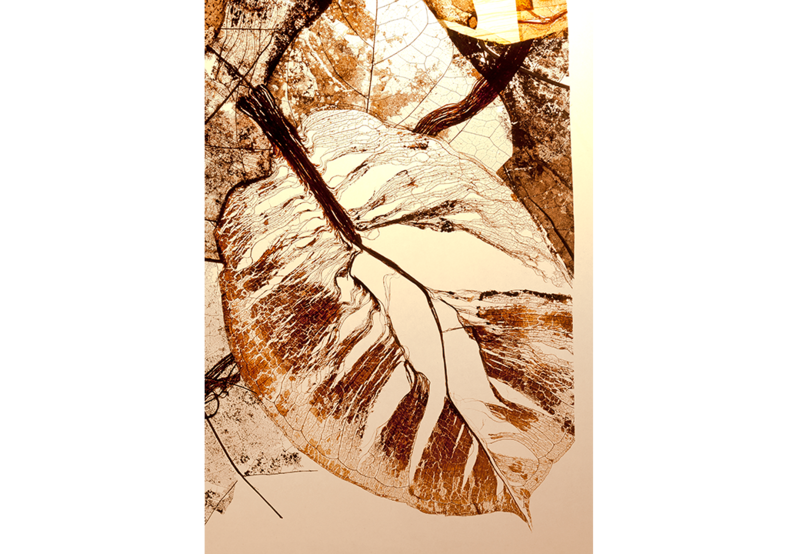 Xanthomonas campestris, the bacterium responsible for many of the path design details. 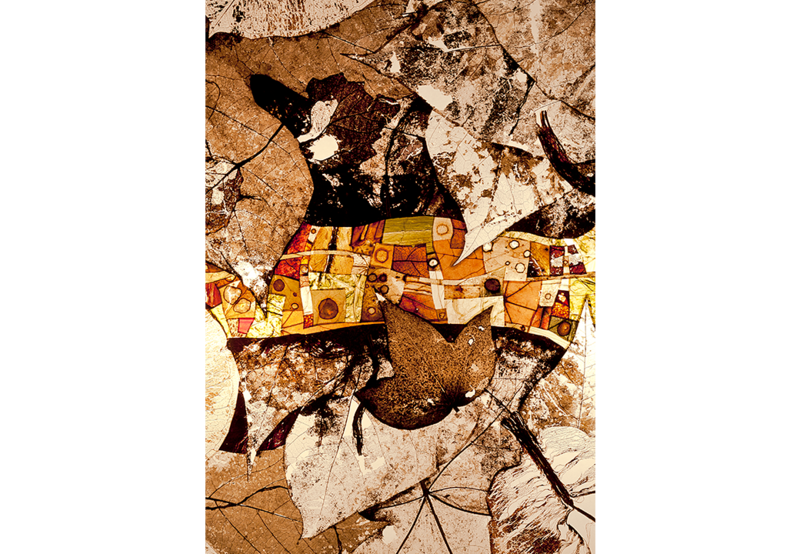 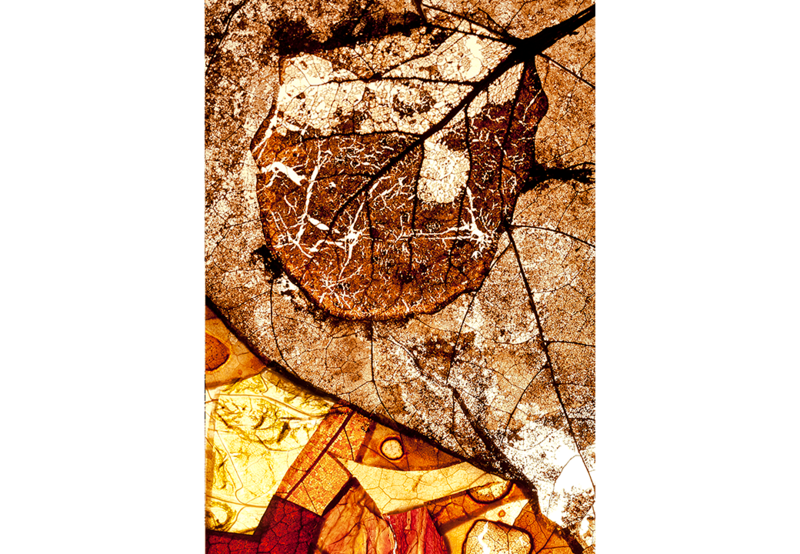 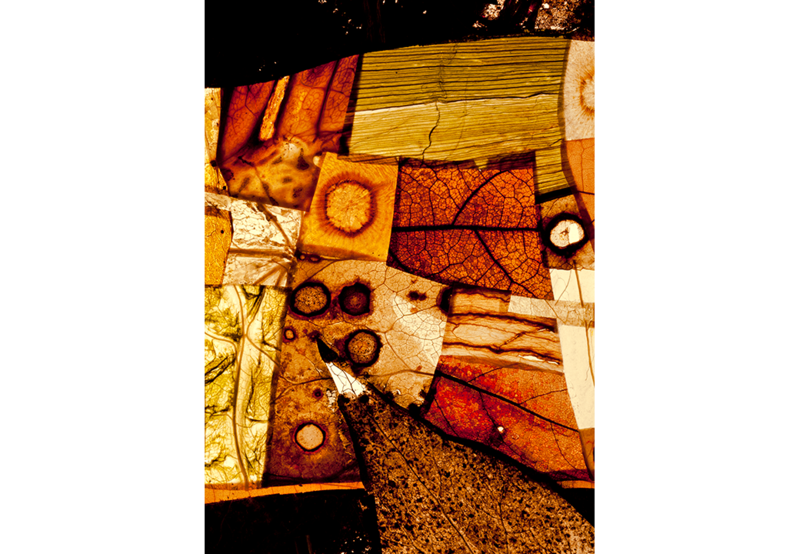 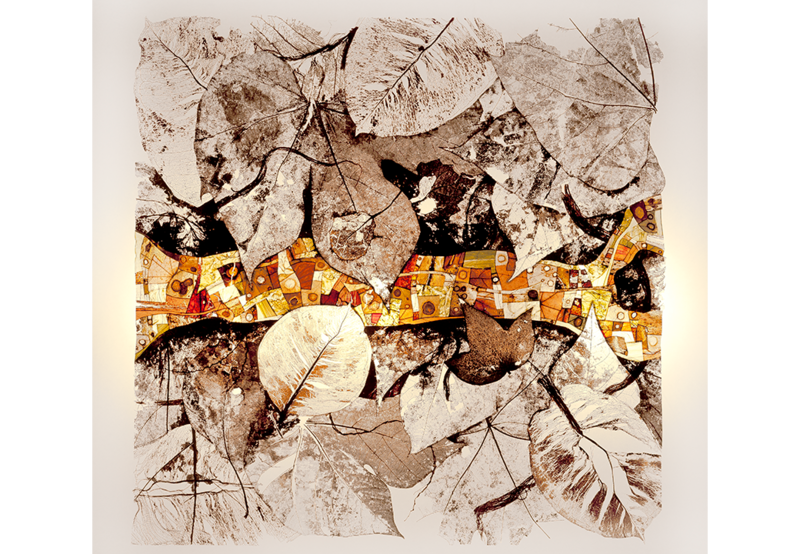 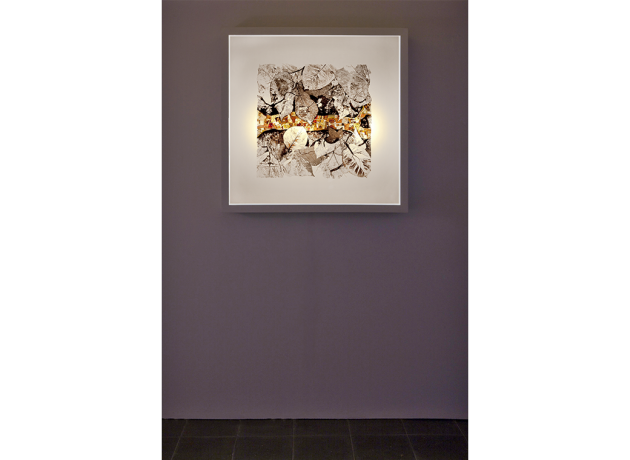 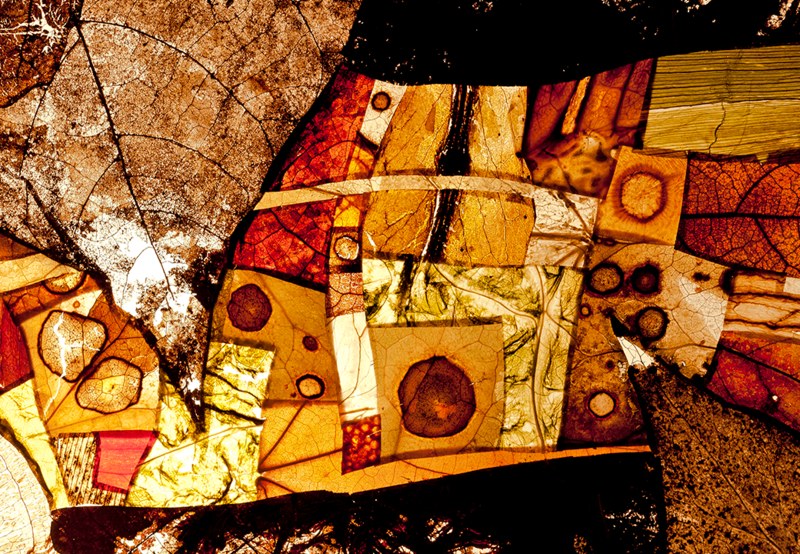 Leaf and organic material collage, 50cm x 50cm, between glass in a wall mounted light box (80cm x 80cm x 15cm).